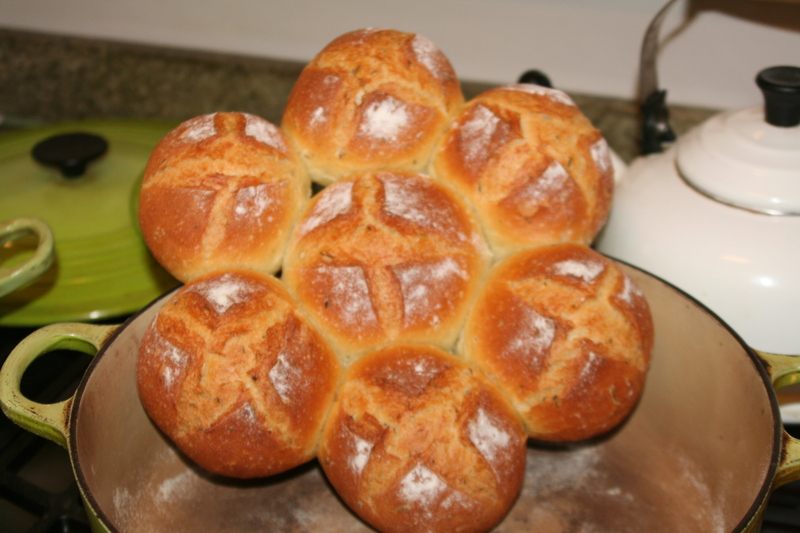 This entry was posted in On Baking, Tricks and Tools and tagged rolls, rosemary rolls by janegmeyer. Bookmark the permalink. I hope to make some like this! SO beautiful. And I’m sure scrumptious!!! Thanks Jane for this recipie. I will try it on friday with the rosemary. Just wondering you mention about retarding. Can the bread be left overnight in fridge till about 2.OOpm the next day or is their a time limit on leaving overnight in fridge? 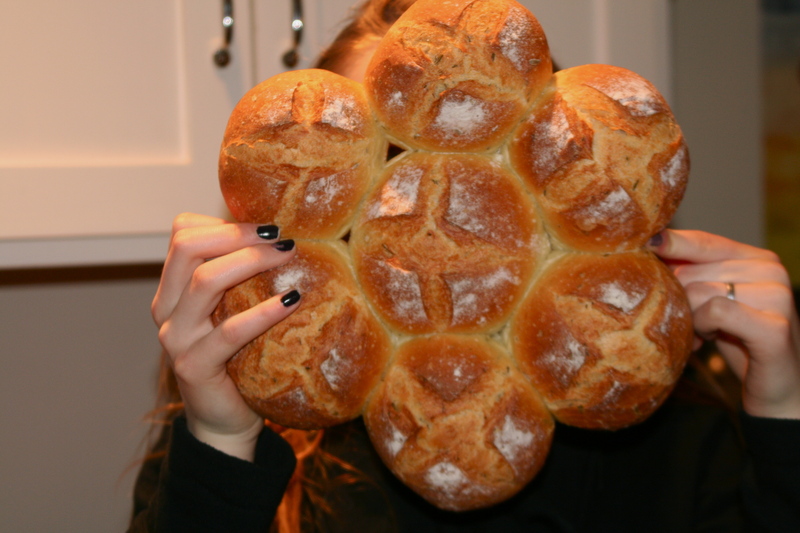 Also, do I form them into rolls then leave in the fridge? Many thanks and thanks for a great site! Hi, Angela. I’ve never let dough sit for quite that long. I’m thinking the yeast might be a bit worn out after a stint of 16 hours in the fridge, and would probably develop a dry sort of crust on the exterior of the dough. But… you never know until you try. Mix up a small batch and give it a whirl! 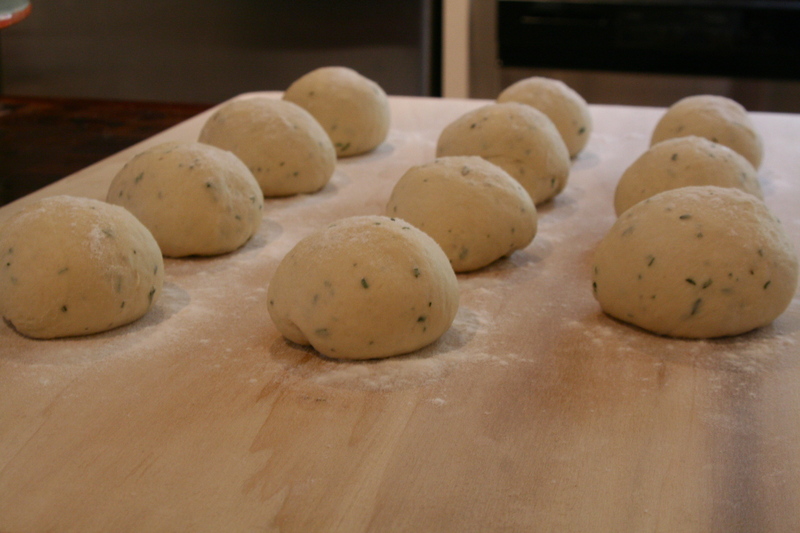 Yes, you would need to mix the dough, let it rise for 1 1/2 hours or so, then you’d mold the dough into rolls (or whatever shape you want)–and that’s the time for retardation. 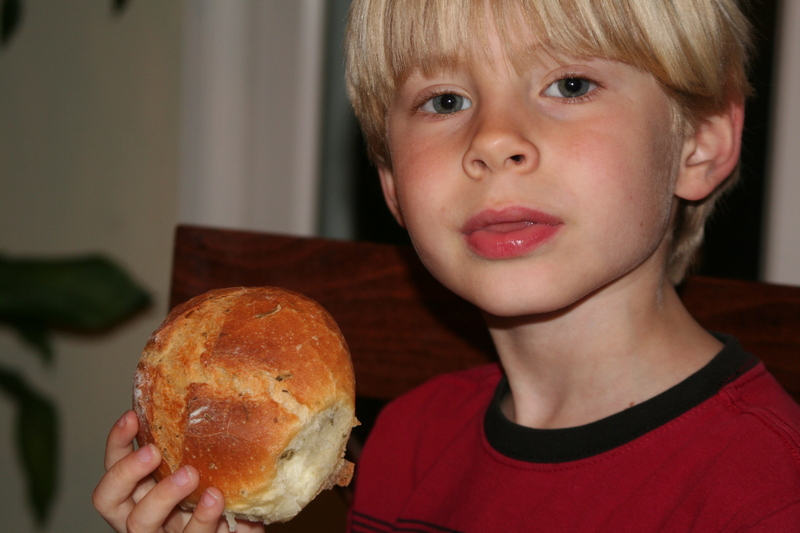 I’m with you–nothing is as good as rosemary in yummy bread. Those rolls were a work of art! 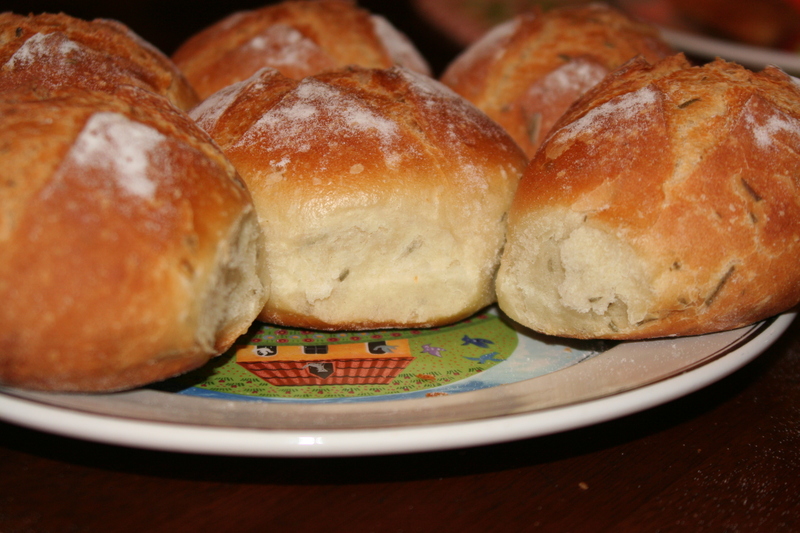 Okay , I tried this bread and it is very tasty. Mine didnt look as golden as yours, yours look like they have just come out of a bread shop 🙂 . I will try tommorrow in the cast iron pot. Just wanted to let you know how they went. You were right they sort of have a crust on the exterior, but they are very tasty! Just a quick question, I placed them in refrigerator rolled with a damp towel on top, but they didnt really rise, would you know why? Hi, Geri. You posted two hours ago, so yikes!!! 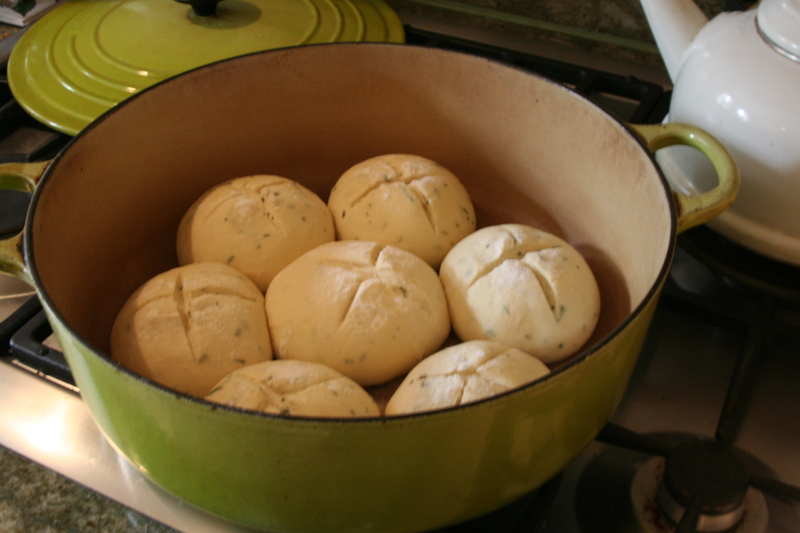 You can either bake them traditionally, on a cookie sheet or something, or in a heated pot. 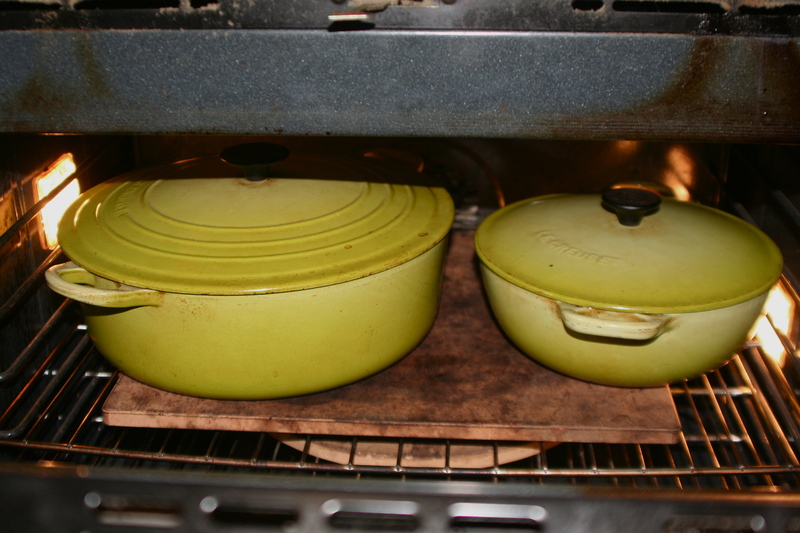 I use a large cast iron/enamel pot, heating it when I pre-heat the oven. I then pull out the hot pan, put the rolls gingerly inside (careful not to burn myself) and return the pot with the lid on to the oven. I bake longer in a pot. For about 20-25 minutes with the lid on, and another 20-25 minutes with the lid off. I’m typically baking at 450 or 425. Perfect timing! 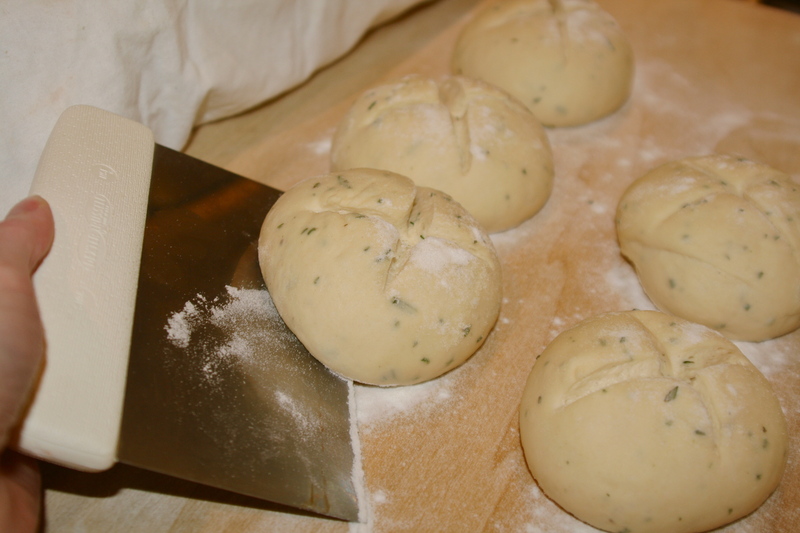 The dough has been rising–I finally had to set it in the sun outside! 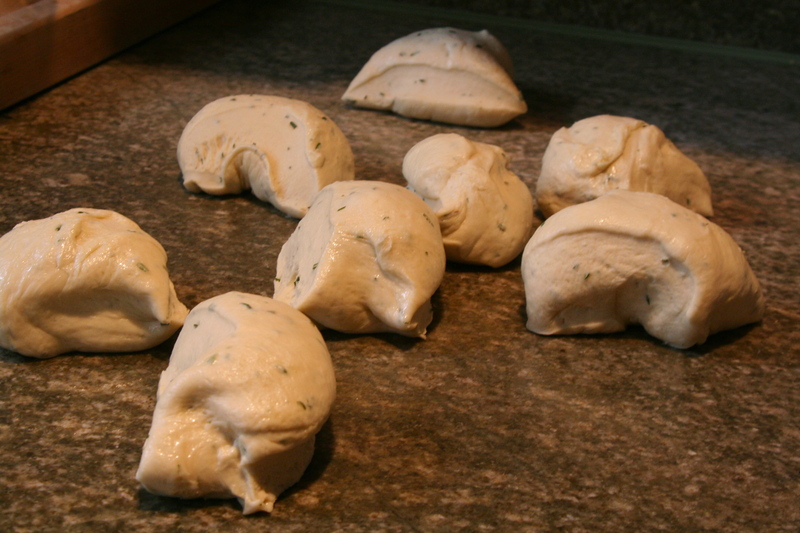 So, now it’s doing its second rising as little shaped doughlets–so now I know what to do! Thanks so much!